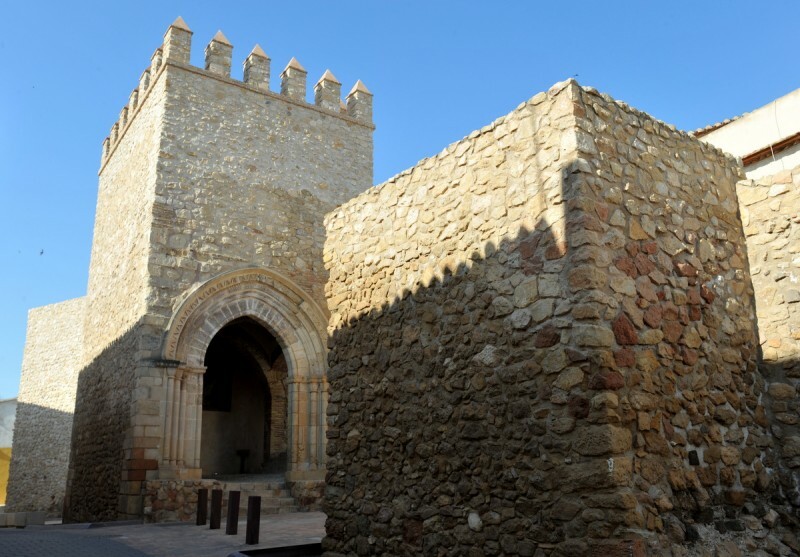 The Porche de San Antonio is the only remaining mediaeval entrance gate left in the whole of the Murcia Region and is just one of the gates which used to provide entrance through the city wall of Lorca. This was once a significant structure which surrounded the hill on which the castle stands and enclosed the residents safety behind a stone ring measuring almost two kilometres in circumference. The door itself was made out of wood, reinforced with iron bars, but this no longer remains and visitors can instead see only the restored tower, climbing up its winding staircase from Calle Gigante to Calle Zapatería. The tower measures 8.2 metres in height from the lower level, and 5.3 metres on the upper side, although it is known that the original Moorish structure was rather smaller. 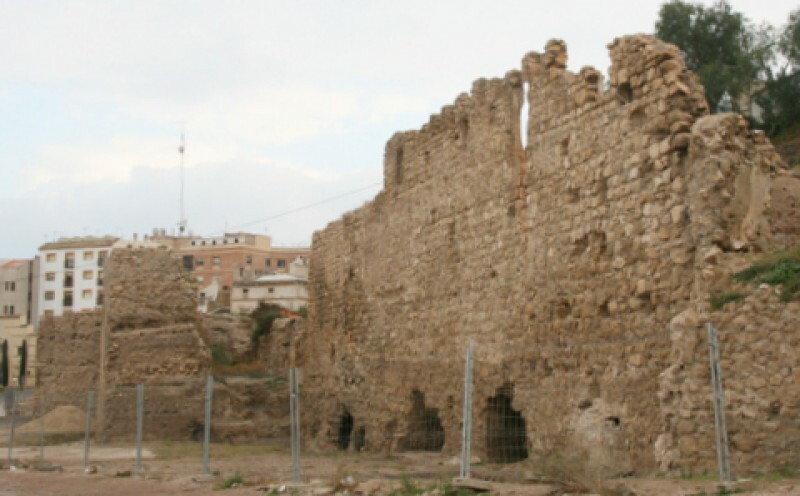 It is surprising to find that decoration was added – after all, this was meant to be a functional defensive structure – but there are crenellations at the top and a great deal of effort was put into making the archways as impressive as possible. 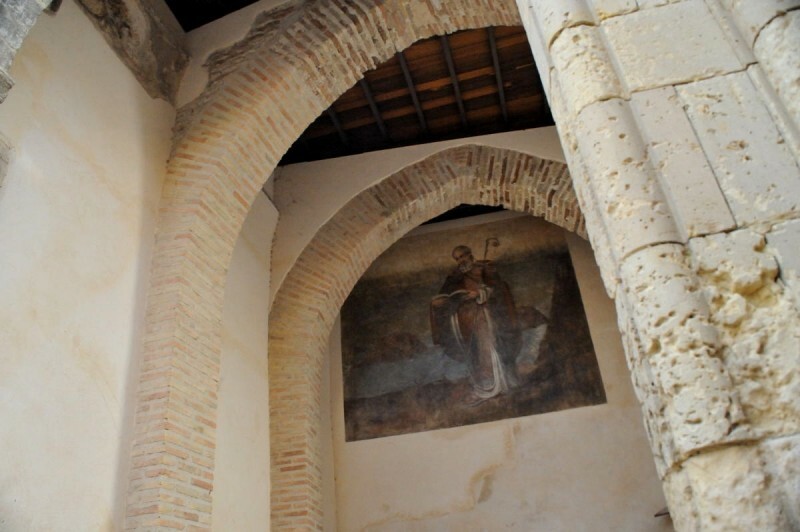 Inside the tower is a mural showing San Ginés de la Jara, to whom the tower was originally dedicated by the Christians, depicted in a mountain setting where a small chapel sits on top of a hill behind him. More decoration used to exist on the upper level of the tower, which is accessed by a wooden staircase, and consisted of a gargoyle with a dragon’s head. 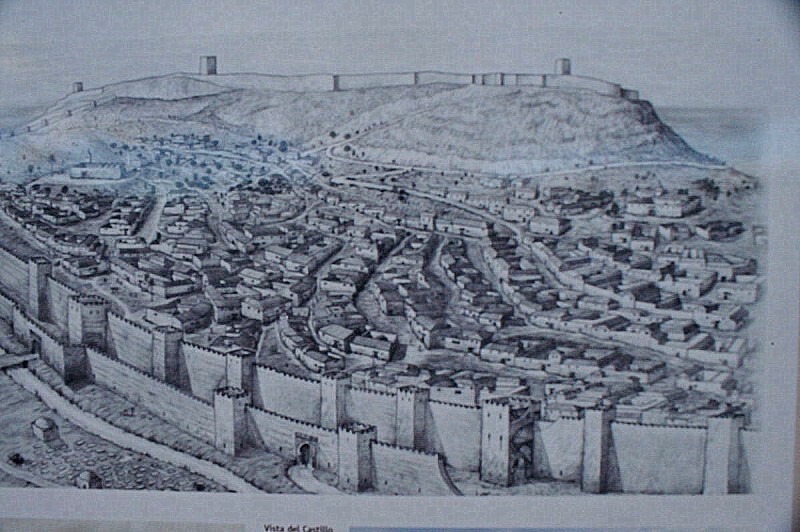 The city wall which constituted the outer line of defence of Lorca in the Middle Ages began at the “Puerta del Pescado” on the northern side of the castle hill and descended via San Juan towards the River Guadalentín, where the gate of San Ginés or San Antonio was more or less at the eastern extreme. 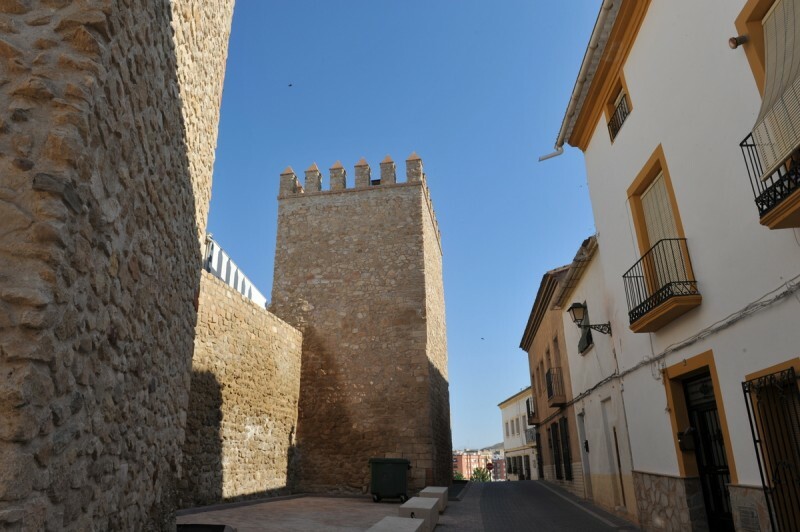 It then followed Calle Cava and Calle Zapatería to Calle Rojano, where the remains of another turret still stand, before climbing the slope up to the church of San Pedro and joining up with the wall of the impregnable castle itself. There were six gates in total. The structure was reformed in the 1960's and again in 2005-2006, before sustaining considerable damage during the 2011 earthquake. It has now been fully restored. The Porche de San Antonio is just a few metres from the La Merced visitors centre, and the restored section of the city wall behind the car parking area in front of it and is a logical stop-off point for visitors to the city. 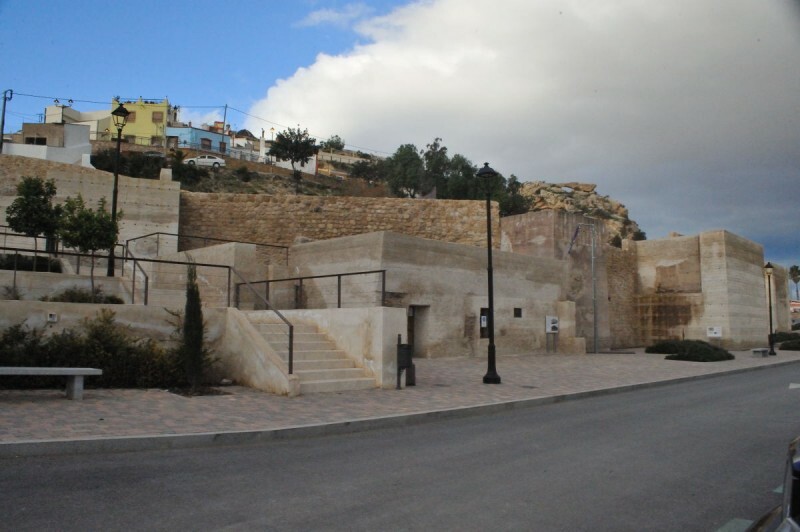 Those visiting the centre of the city may find it interesting to park in the car-parking area alongside the La Merced Visitor Centre, visit the centre, then walk up behind La Merced onto the restored mediaeval walls and then continue up to the Porche de San Antonio just behind the wall. From here, it's easy to continue on into the heart of the city.